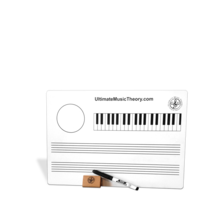 Complete Music Theory Workbook inclues Guide & Chart, 12 Lessons & Review Tests and matching Complete Music Theory Answer Book! 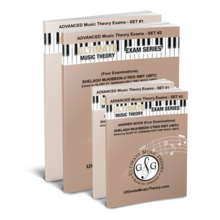 Complete Music Theory Workbook and matching Complete Music Theory Answer Book are a perfect duo! The UMT Answer Book (coil bound) is a convenient 5 X 7 size.